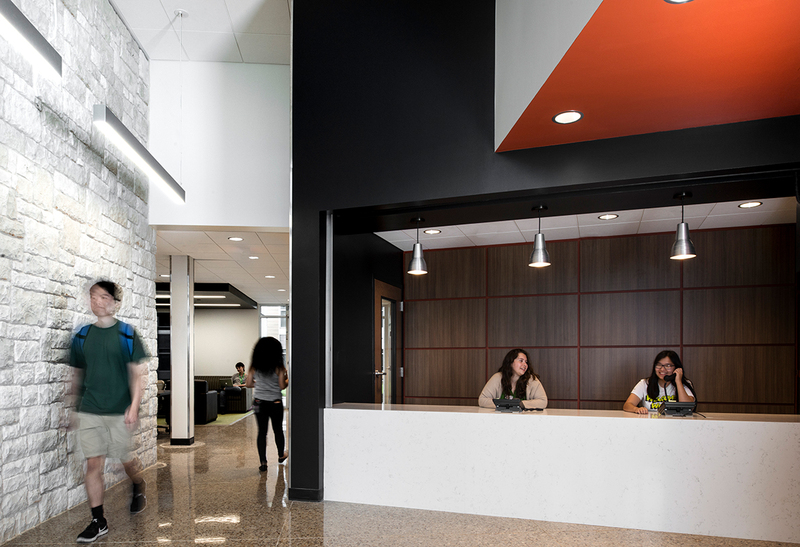 Canyon Creek at UT Dallas opened on campus in the fall of 2017, and offers contemporary, apartment-style housing and a fresh new gateway to this growing campus. 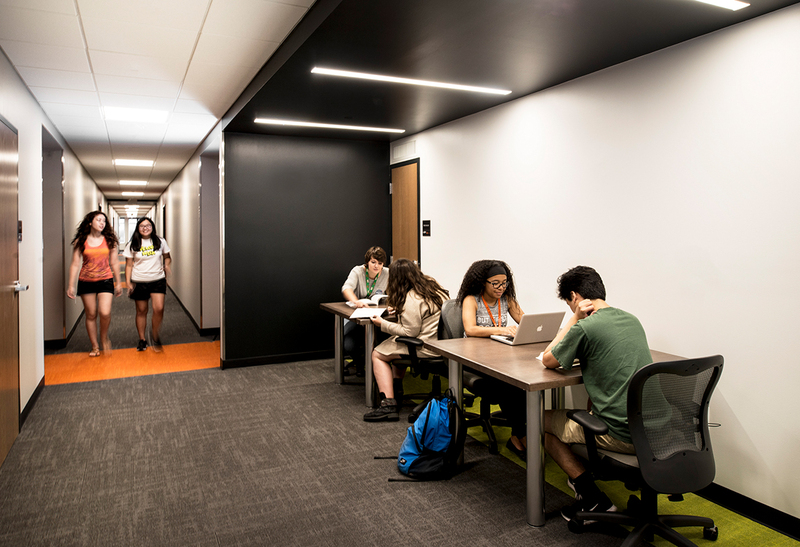 The 800-bed development provides a diverse range of housing options for upper division students. 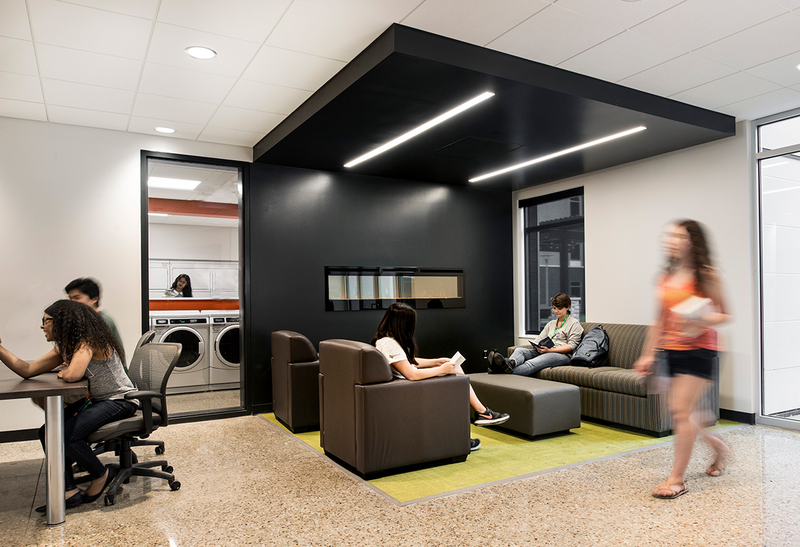 One building consists primarily of well-appointed, two-person apartments, each with private bedrooms and bathrooms. 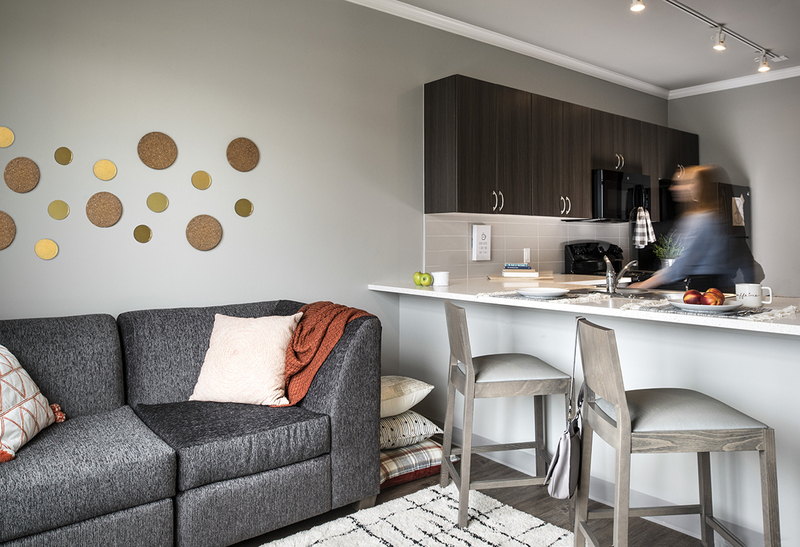 The other holds mostly four-bed units, with different layouts that contain two shared bedrooms, as well as four individual rooms. 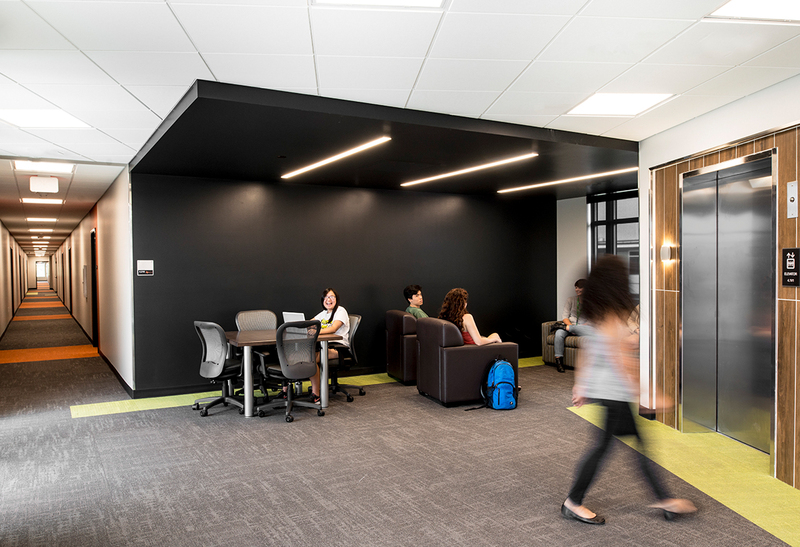 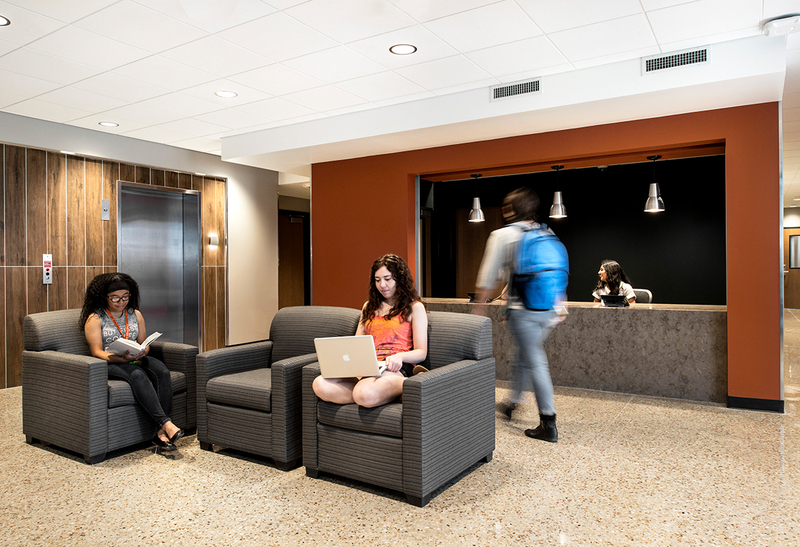 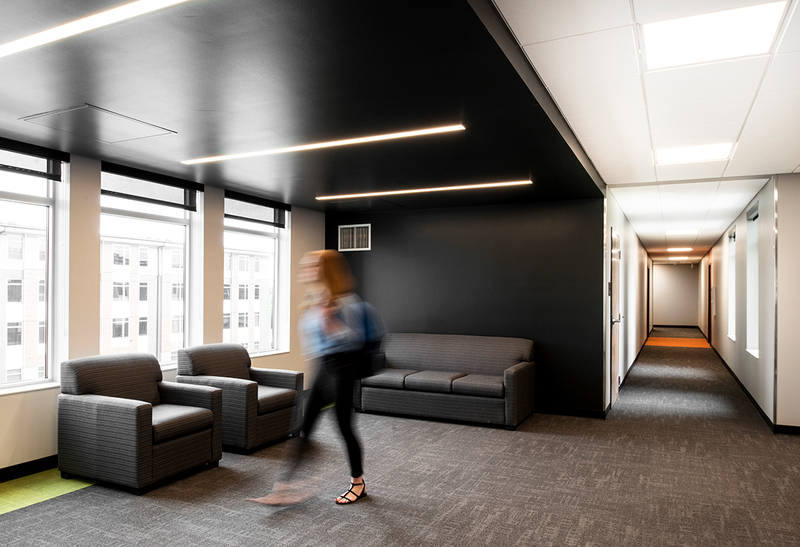 Both buildings combine “off-campus style” with vital “on-campus support,” including full furnishings, ample community space on each level and resident staff members. 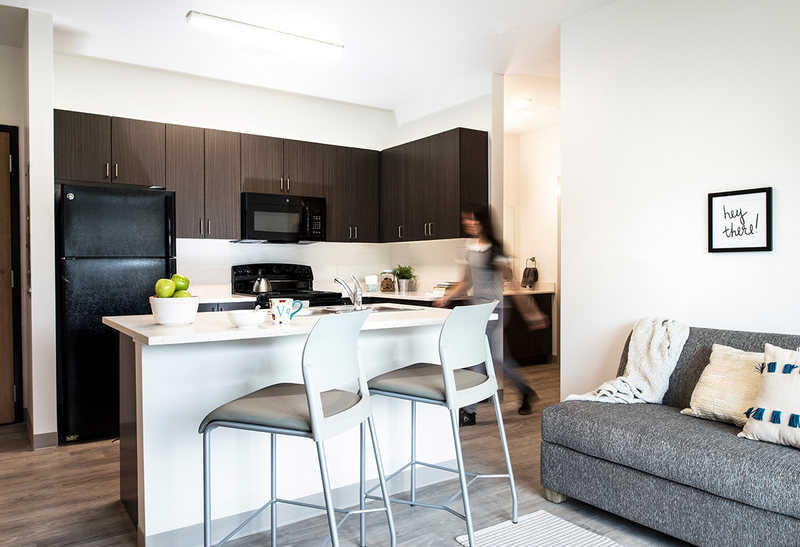 On-campus convenience provides parking for 150 residents, ample bicycle storage, outdoor gathering spaces, and close proximity to classes and athletic fields.